CAN WE GROW GRAIN IN IRELAND? A panel discussion on whether we can commercially grow grain in Ireland with a specific focus on milling of flour and Sourdough bread making. With more and more bakers wanting to make bread with ancient and heritage grains and source their produce locally, what does this mean for Irish grain growers. Can we sustain a commercially viable grain industry? If so, why are there not more people already doing it and are there incentives for farmers? Can we learn from other cultures with similar climates? Where is sourdough baking in Irish Food Culture today and where is it going? Hosted by Manchán Magan with input from Fintan Keenan, Monika Walecka (Poland), Sarah Richards (Seagull Bakery) and Andrew Workman (Dunany Farm, Co. Louth). More participants to be announced shortly. The talk will be followed by tastings of mixed wholegrain sourdough breads from a number of dedicated Irish Sourdough bakeries. 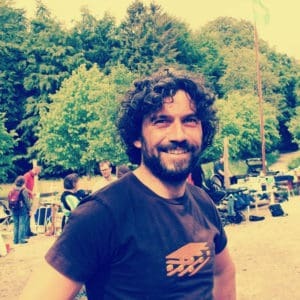 MANCHAN MAGAN is a writer and documentary-maker. He has written books on his travels in Africa, India and South America and two novels. 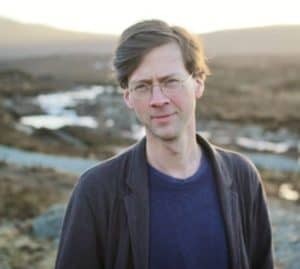 He writes occasionally for The Irish Times on sustainability, Irish culture and environmental issues. He also reports on travel for various radio programmes, and has presented dozens of documentaries on issues of world culture for TG4, RTÉ & Travel Channel. He lives in his oak forest in a self-made hovel in Westmeath. Fintan Keenan is a native of County Monaghan but now lives in Denmark. He works together with Per Grupe on Mørdrupgård as an organic farmer & miller. Together they grow a wide variety of heritage wheats organically, solely for flour production in their farm based mill. Additionally, they research and develop varieties that are better suited to the Danish climate and have anywhere between 80-120 winter & spring wheat test plots every year. Fintan is also growing heritage Irish wheats that he sourced from gene banks with the aim of bulking seeds and eventually trailing them on his brothers farm in County Monaghan. MONIKA WALECKA is a prolific Sourdough baker @thereshecooks and photographer from Poland. Her passion in bread making is wholegrain and fresh milling of local grains. 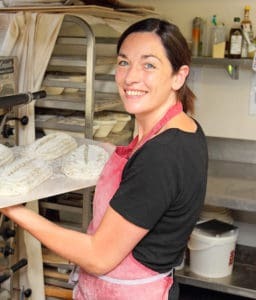 SARAH RICHARDS is the owner and head baker of Seagull Bakery, a small seaside bakery in Tramore that focus on wild yeast sourdoughs. Sarah trained with Andrew Whitely of Bread Matters, co-founder of the Real Bread Campaign in the UK, and with Wayne Caddy at the School of Artisan food in Nottinghamshire. She is a proud member of the Real Bread Ireland network. Sarah has taken on a new premises next door to the current bakery and is currently in the process of purchasing a mill to begin milling her own flour and exploring new grains.